PREVED, MEDVED or how to get into bear den without getting smashed with a balalaika. 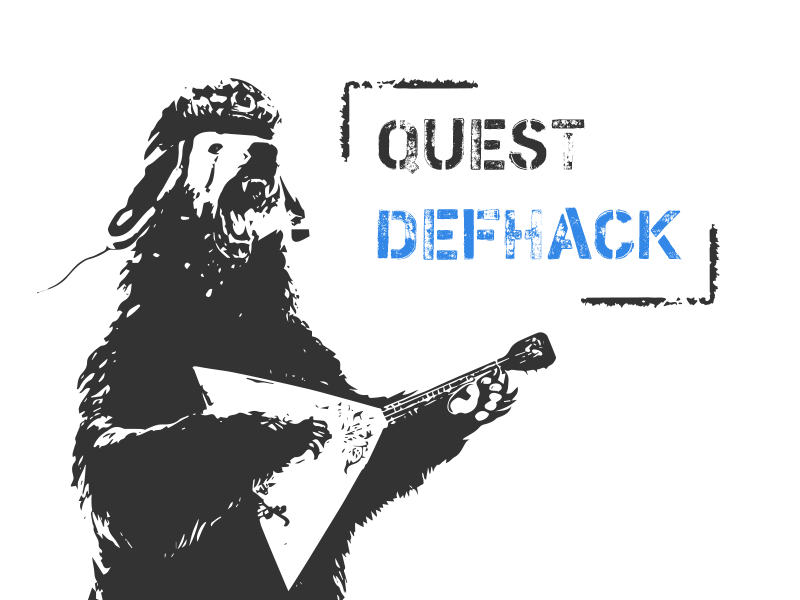 Participate in this DefHack quest during ZeroNights conference! This second add-on to the original release will become online from November 20. Travel the dystopian world of this quest and complete different tasks. First, you will join the Ё-corp incident investigation department. Solving cases as a white hat, you will meet various interesting adversaries – members of black and grey hat groups. Every step you take will affect the environment, which will be reflected on the corporate website. Once you have learned the different sides of the conflict, you will be able to pick a side. The destiny of this world depends on your choice! Besides that, you will get an opportunity to work with the Tor network and not just through the browser. You will have to redirect the traffic of some apps into the network (e.g., using torsocks). We recommend using some kind of a Linux distributive. You may participate both individually and in a team. The difficulty of must tasks is low and medium, and any admin, programmer, tester, and pentester can deal with them. You can get an inside-game hints for every task depending on your current progress. You can ask questions to the organizers in the telegram chat @defhack2018. While making the tasks, we tried to make them as real as possible. Most of them, we hope, would be useful in practicing basic attack methods and for understanding possible protection mechanisms. We hope that you will like the stories that make up this quest.